With technology’s advances and the diversification of methods made easy by the ever-expanding and intricate internet, it’s easier than ever to find something relatable to nearly an niche and yet one thing remains constant—we still order gifts, have them shipped to the delight of the recipient who still has the honor of opening their cherished packages on their birthday while taking note of who was kind enough to have them in their remembrance at their special time of year. Imagine the dismay that would be created if we sent them a picture of their gift instead? It could have a cute little note at the bottom of the email or maybe on a social networking site with the caption underneath: “Enjoy this image of your gift, I enjoyed sending you an example of what it would look like.” I think if anything, this would be received as a joke at best and an insult at worst. Seems ridiculous doesn’t it? That’s how some people feel when they get an e-card as opposed to what they consider the real thing. Sure, it’s easier to send it that way, faster and certainly less costly but what is the real value earmarked on that? Not much by the real thing in comparison right? When it’s time to send out that birthday card this time around–keep it real and keep it right. Send out something that can be remembered for a long time to come. 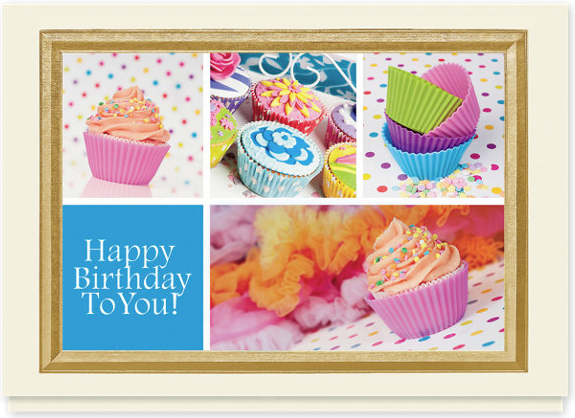 I send cards to each of my friends and family on their birthdays so I know where you are coming from but if I know the card will be late, I always send an e-card to acknowledge their special day. A birthday is one of those occasions where a card is really important. It’s that person’s special day so for them to get a card reminds them that you are thinking about them.